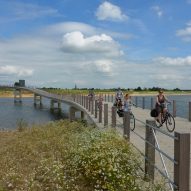 Next Architects and H+N+S Landscape Architects teamed up on the design of Zalige Bridge, which forms part of a pathway across a park on the banks of the Waal river. 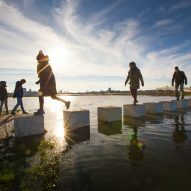 "All designs by Next Architects start from the unique characteristics of a place," explained Michel Schreinemachers, a partner at the Amsterdam-based firm. 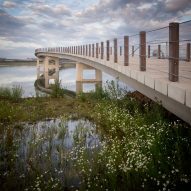 "This bridge is build on the floodplains; this fact was used to design a bridge that strongly connects and interacts with the river landscape; as a path over the water." 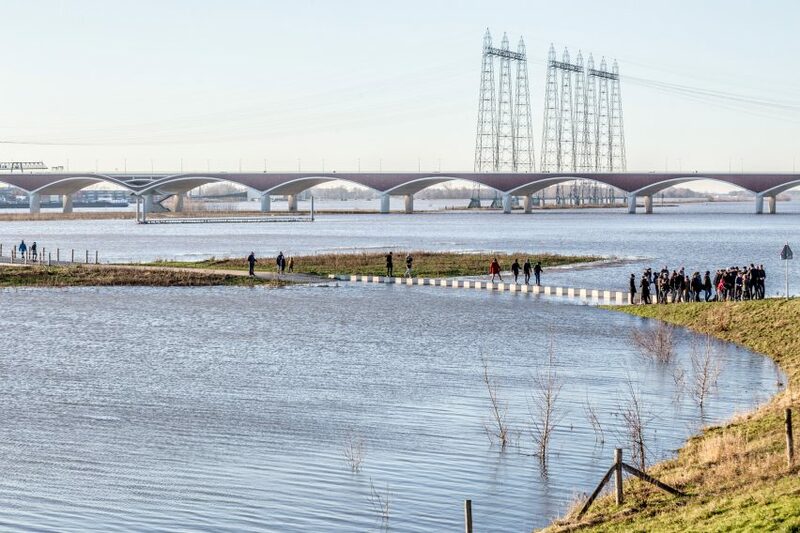 Zalige Bridge has been open since March 2016, but has just experienced its greatest test so far – on 10 January 2018, the water rose to its highest level in 15 years. Once the water reached its peak, five metres higher than usual, even the stepping stones were out of action. But while the water was still rising, many people were able to access the bridge and enjoy the natural spectacle. Urbanism expert Tracy Metz explained the approach during the What Design Can Do conference in São Paulo back in 2015. "Architects are going crazy with the idea of a new relationship to water," she said. 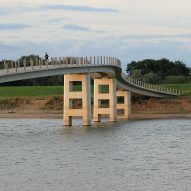 This approach formed the basis of the government's Room for the River programme, initiated in 2006 to review the flood defences in 30 locations. 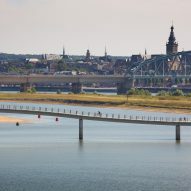 Nijmegen was one of these locations, which is how the Zalige Bridge project came about. This project is now being promoted as a model for how towns can live with the water, rather than shutting it out. 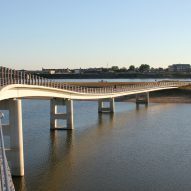 It construction is part of a 10-year masterplan for the town, which also involved widening the river and relocating housing. 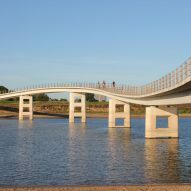 Zalige Bridge is the latest in a series of innovative bridge projects by Next Architects. 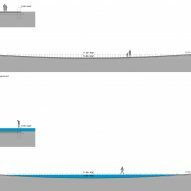 The firm previously built a river crossing that integrates spaces for bats to roost and another that separates the routes for pedestrians and cyclists.